Lindsey is a former fundraiser with deep knowledge of higher education advancement, annual and reunion giving, volunteer management, and participation fundraising. She spent years building innovative annual giving strategies in her prior roles at Babson College and Emerson College, and was a key member of the team who doubled alumni participation at Babson in just three years. Her experience in higher education fundraising spans back to her undergraduate years at UMass Amherst where she was a proud phonathon caller and supervisor. It’s there that she grew a love and appreciation for fundraising that eventually led her to Gravyty, where she helps nonprofits achieve record-breaking revenue and participation with AI. 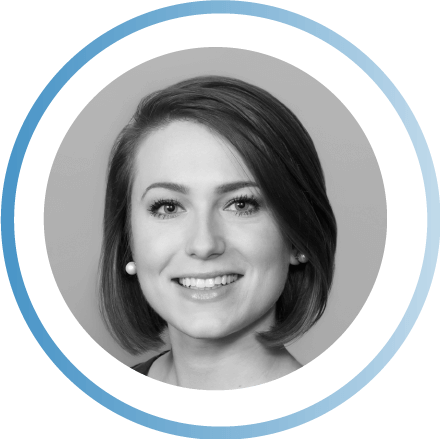 When she’s not helping organizations see the game-changing impact AI can have on their advancement results, Lindsey is practicing or teaching yoga, hiking with her dog, experimenting in the kitchen, or seeing weird movies at her favorite independent theaters around Boston. She holds a BS in Sociology from UMass Amherst and an MBA from Babson College.